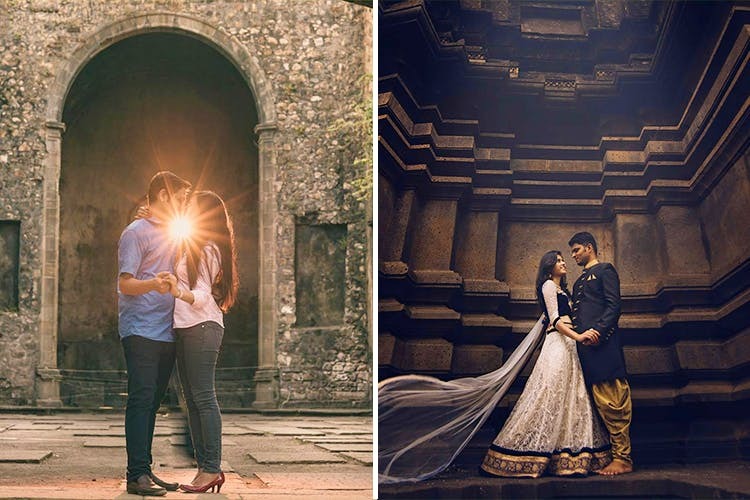 An MBA-turned-mortgage-underwrite-turned-photographer, Bhavika Gupta is one of the sought-after wedding and pre-wedding photographers in Pune and Lonavala. What we love about Bhavika is that she lets her clients be themselves and clicks the most gorgeous, candid snaps ever with minimum edits and props. A&T Photography in Pune is one of the most sought after photography and videography teams for pre-wedding shoots. They have shot over 100 pre-weddings so far and are known for their breathtaking, not so over the top compositions. They also specialise in creating 3-5 minute-long pre-wedding films. Founded in 2011, AM Photography by Anshum Mandore is highly recommended for pre-wedding shoots, candids, cinematic wedding films and more. Their specialty is destination shoots and they are always willing to explore locations like Mumbai, Delhi, Kolkata, Jaipur, Goa, Shiliguri, Guwati, Vizag and beyond. VFX artist turned wedding photographer, Ishan Wadke is based out of Shivtirthanagar in Paud Road, Kothrud. He blends in contemporary ideas with traditional techniques with ease and captures nothing but the best moments for you and your loved one. Check out his portfolio for more details. If you're looking for something affordable yet awesome, check out Digivault in Pune. They specialise in candid pre and post wedding photography and films.